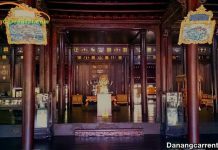 Travel to Tan Thanh hot springs – Thanh Tan hot spring resort, a famous place in Hue which can combine tourism and health care. What are the advantages of Thanh Tan hot springs tourism? That is a wonderful destination – Thanh Tan hot springs in Phong Son commune, Phong Dien district, Thua Thien Hue province. 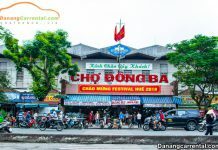 Please refer to Thanh Tan hot springs tourism experiences that Kha Tran share here to prepare for an exciting trip with your relatives and friends. 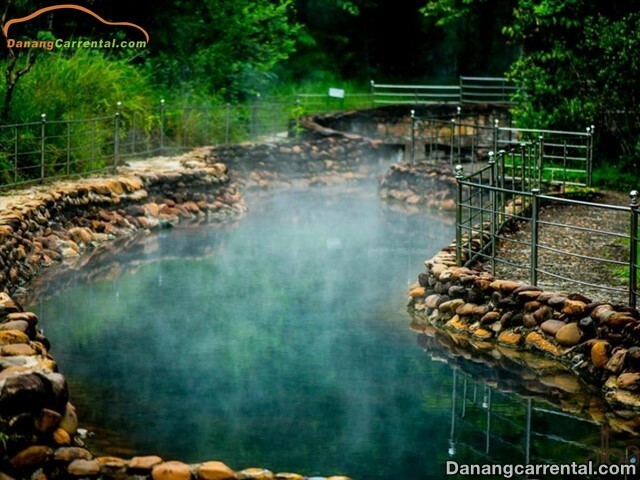 Thanh Tan hot springs were discovered in 1928 by famous French doctor Albert Sallet. Mineral water here has the highest amount of dissolved minerals in Viet Nam, containing calcium, bicarbonate, magnesium and many nutrients in health and beauty can be compared with the top mineral mines in Europe. The Nguyen dynasty and the French have been known for centuries and have used mineral water here. 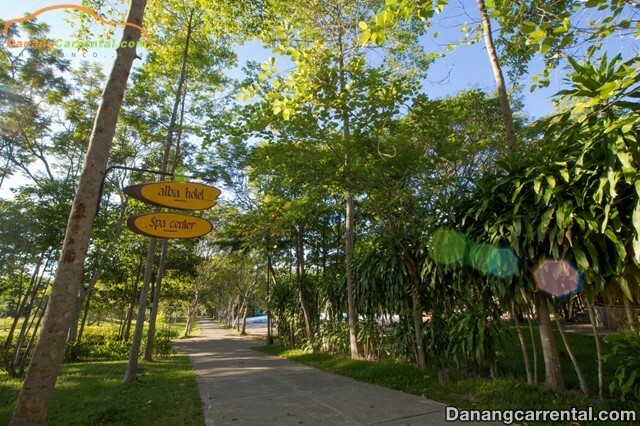 At present, Thanh Tan hot springs are invested by French Open asia Group to build luxury resort and produce Alba bottled mineral water to be distributed in the system of restaurants and 5 star hotels throughout the nation. 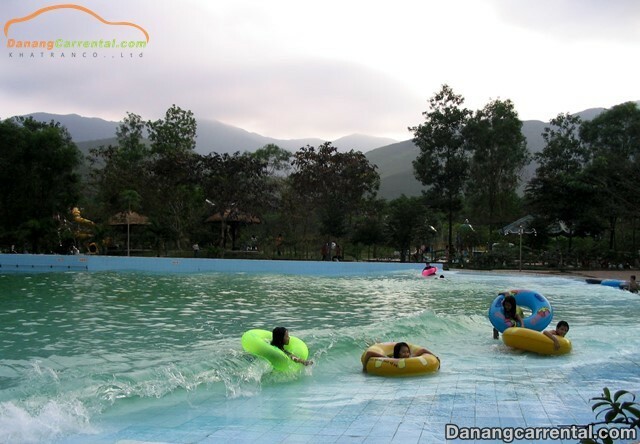 The distance from Da Nang to Thanh Tan hot springs is about 140km, from Hue to Thanh Tan hot springs about 30km. 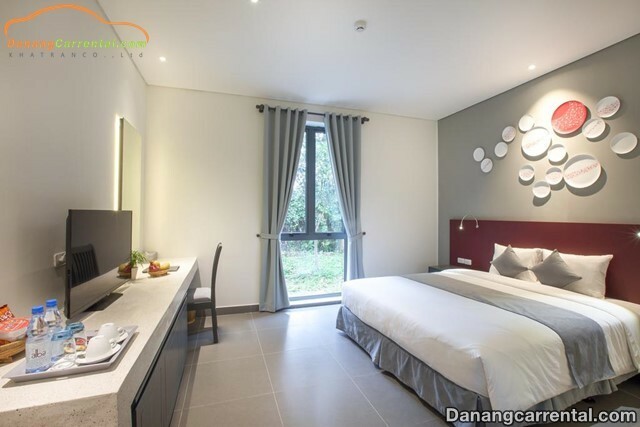 From the center of Hue, follow National Highway 1A about 20km to the North, at An Lo bridge, turn left 12 km then go straight ahead to the resort. 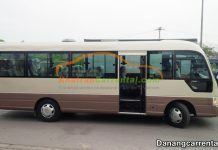 You can travel by motorbike or go in a large group of people, agencies, organizations and schools, then you can rent cars to Thanh Tan hot springs at Kha Tran via hotline 0971850 666. There is also a service for renting and selling swimsuits but quite monotonous and sketchy, it is the best to bring swimsuits before coming here. 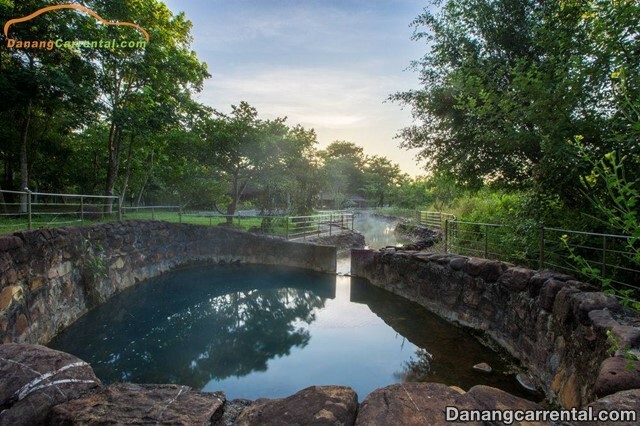 Price tickets of Thanh Tan hot springs:There are combo packages for adults and children from 160,000 – 760,000 VND including entrance tickets, zip line, bath, buffet … You will have more choices at the ticket counter. On holidays, there will be discount deals, and do not forget to take advantage of free meal vouchers if you have purchased a combo ticket. If you have a day to travel to Thanh Tan hot springs, you should experience the games at the park,then use the bath services at hot springs. 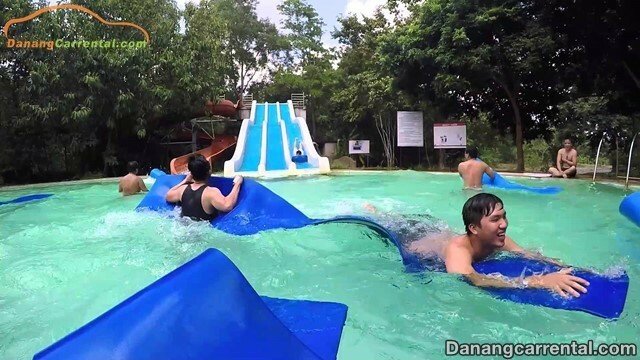 Thanh Tan hot springs resort is designed as a large park with a diversity of the games system, between the cool atmosphere and beautiful and clean space. 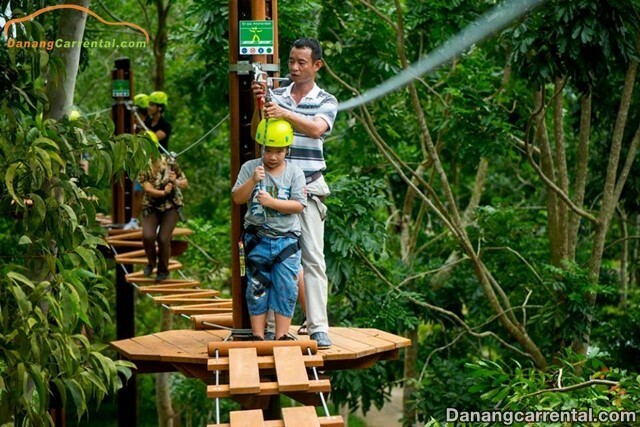 Try to enjoy outdoor games such as balance on the cable (Highwire), adventure rope swing (Zipline), or underwater games, going fishing, handicraft villages,… Certainly you and your relatives will have a pleasant and extremely exciting experience. The game is designed with three stages on the cable car which has total length of nearly 600m, 6m high compared to the ground, including 32 challenges. The biggest challenge for players is the height and staggering of obstacles that sometimes make them unbalanced. 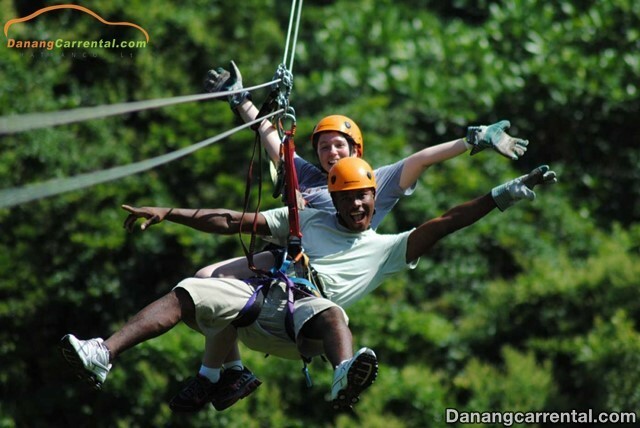 Zipline is the place to be for all visitors to the resort. The game forces the participants to overcome the fear of altitude. 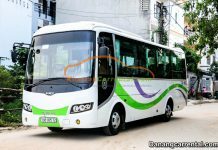 The cable system starts at Ma Yen mountain, Phong Son commune, at the height of 45m above the ground, crossing a 560m long forest. Hanging on a cable, sliding down from the top of the mountain, you will feel as if you have wings on your own arms and then fly through the enormous forest. The hot springs are a natural gift that is very good for your health, with temperatures up to 68 degrees Celsius at the exit point, then diminished through streams. Soaking in hot mineral water will help the body to provide nutrients and more energy. Besides that, it can improve both physical and mental health as well as also detoxify and support rejuvenation of the body. Here are some experiences when travelling to Thanh Tan hot springs in 2018. Hope to provide you with the most useful and up-to-date information. 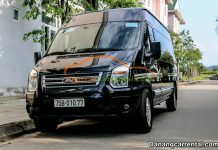 If you want more tips to choose for the upcoming holidays such as the famous tourist spots in Hue, the famous Da Nang attractions, Hoi An travel experiences, … you do not hesitate to contact Kha Tran car rental in Da Nang for specific advice. 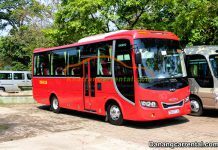 Wish you have a trip to Hue is fun and complete! We are happy to be with you all the way.